I mentioned at the end of my last post that the Gower coastal footpath is currently closed at Cwm Ivy Marsh with a lengthy diversion taking walkers further inland. This change in route has been made necessary as a result of recent high tides which have breached the medieval seawall leaving a large hole and unsupported footbridge. Move inland though and it quickly becomes apparent that of far more immediate concern is the ingress of huge quantities of salt water into what had been an area of freshwater marsh and grazing pasture. Virtually everything that has been contaminated with salt now sits dead including numerous mature trees and extensive areas of low lying vegetation. Clearly those animals which relied on this habitat have had to move on and any potential restoration will likely take years to achieve with each successive high tide only making matters worse. The subject of restoration is of course an interesting one given the nature of this location and the current state of sea defences around the country. It is now a widely regarded fact for instance that sea levels are on the rise and that it is simply uneconomical and in some cases impossible to hold back the water indefinitely. Instead a scheme of managed retreat has been adopted where areas of land are surrendered to the sea in an effort to form natural barriers to protect more valuable property and habitat beyond. A perfect example of this can be seen at the RSPB's Titchwell reserve in Norfolk where defences have been moved back and the old walls breached to allow new saltmarsh to develop. A similar approach has been proposed for Cwm Ivy though I think the nature of its commencement has been a little more abrupt than would have been preferred. Certainly feelings seem to be running high in the local community judging from one lady I spoke to. Her views were very much that the numerous authorities involved here have led to delays, lost time during which the situation has only gotten worse. I'm tempted to agree with her there as surely a few large bags of sand could have at least formed a temporary barrier while discussions were allowed to continue. 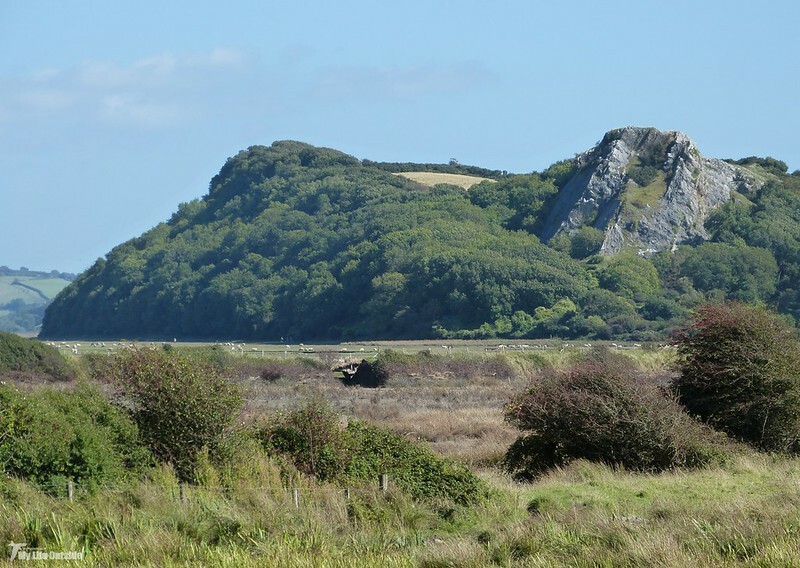 And that I fear is all that will happen now regarding Cwm Ivy Marsh with the Shoreline Management Plan for this part of the Gower coastline specifying a strategy of non-intervention. In many ways I completely agree that this is the only reasonable way forward but to lose such an historic structure and the freshwater marsh are very hard pills to swallow. 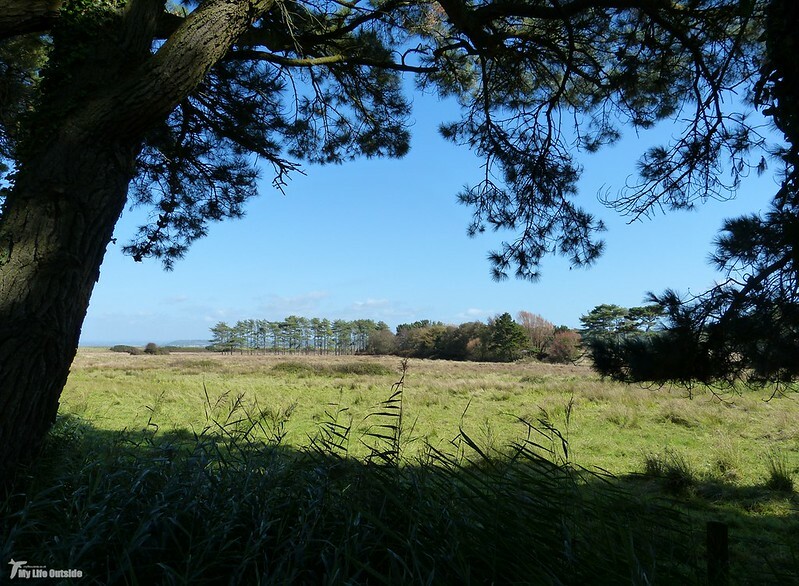 On the other hand saltmarshes themselves are under pressure for many of the same reasons so the creation of a new stretch here is not without its benefits. 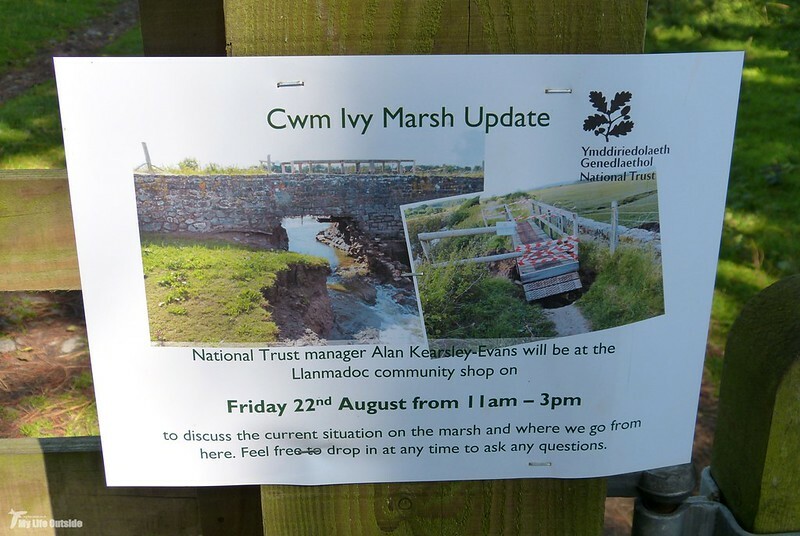 Whatever the immediate conclusion is to this recent breach I think it's fair to say that Cwm Ivy Marsh is unlikely to exist in its current guise for very much longer. The rationale simply doesn't exist for ploughing hundreds of thousand pounds into a scheme which is likely to last only another few years. Controversial I know but I expect we will see many more similar decisions being made in the not too distant future, often with far more at stake. Just ask the residents of Fairbourne whose whole village is likely to slip beneath the waves by 2055 (BBC News link). Interesting. Came across this post while trying to find out more about the breach in the causeway at Cwm Ivy Marsh, which I came across in April while walking the Wales Coast Path. Now the gap is complete and the freshwater marsh looks to be irreparably damaged. Have mixed feelings about it. Don't think it would have cost much to repair the original hole. But it is too late now.